Pet emergencies are a common element of most veterinary practices. They can happen at all times of the day or night, whether the practice is open or closed. There are varying degrees of emergencies from the life threatening to simple procedures that need to be done because an owner can’t be at the office during regular office hours. You need to think about the possibility of emergencies way way before you even contemplate getting a dog or cat. The first order of business is choosing a veterinarian that can take care of your new pet. Not that this is needed to enter an emergency clinic but establishing a relationship with a professional is important. 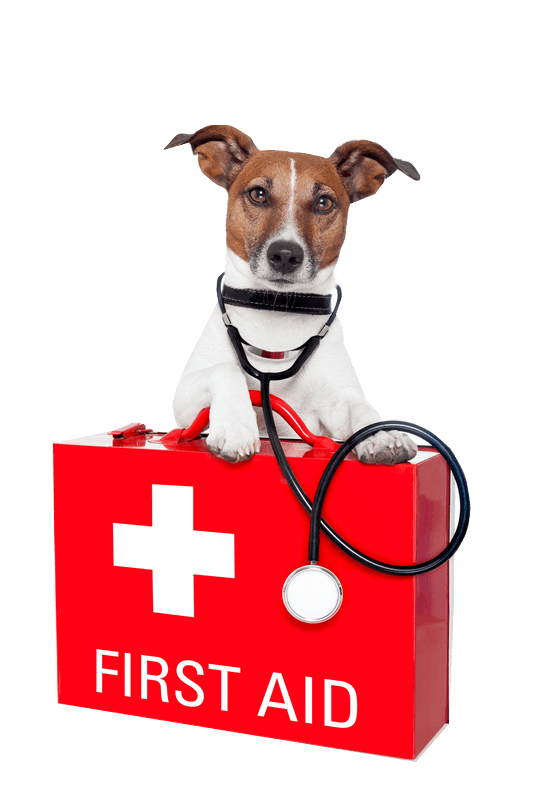 Most emergency hospitals discharge their patients the following morning and refer them back to the referring veterinarian. That referring veterinarian is YOUR local doctor. That doctor then finishes the case until the situation has been resolved. There are three ways that veterinarians usually take care of after hour pet emergencies. Many of these scenarios depend upon which type of environment you live in: rural, suburban or city. Rural Area- In rural areas people live relatively farther apart so the population density is not that high. There may be only one or two veterinarians in the entire county. Most veterinarians in these situations take care of their own emergencies. These may be large, small animal or a combination of the two. It is crucial in these situations to have a good relationship with the veterinary hospital. Inquire how the doctor is to be reached after hours. Rural areas are too far away from city emergency only practices. Suburban Areas- These run the gamut from quasi rural areas to areas of populations just outside the ring of a major metropolitan area. This is the area where I practiced in Ohio. Veterinarians in these areas would often get together and split up weekends and weekday nights among the practices involved. This would mean that veterinarians would not have to be on call each and every evening. Cases would then be referred back to the original veterinarian. If they didn’t have a veterinarian they would often stay with that practice that helped them in a tough situation. Veterinarians would also take care of their own clientele after hours. The big problem of being in an area an hour away from a major city is that the distance is too great to drive for pet emergencies. Many bad things can happen within that hour so prompt local medical care is a necessity. On the flip side the pet homeowner density is too low for a strictly emergency clinic to support itself. City- Due to the intense population demographics, city environments offer the best of both worlds to pet owners. In most major metropolitan areas there are multiple emergency clinics that are available for you to choose from. Many of these are specialty practices during the daylight hours and switch over to emergency only after hours. Other veterinarians may take care of their own emergencies. This is often beneficial since the veterinarian already KNOWS your pet and has a medical record for it. Sometimes the scope of medical care is beyond what a regular office can provide so the pet is then referred to the closest emergency clinic. This may seem like a trivial question but it is not. Pet emergencies vary in their degree of intensity. It is obvious to seek emergency care if an animal is having extreme difficulties breathing. But what about the not so obvious cases? The best approach is not to make that decision yourself. Only a trained veterinarian can make judgment calls like that. Those judgment calls, regarding pet emergencies, are to decide whether or not a pet should be seen immediately or can wait until the following morning. When in doubt, call the emergency clinic and explain what is currently happening to the dog or cat or any medical history that might help the emergency veterinarian. Based on that information and other questions that the veterinarian may have will determine whether you should go to the pet ER. Sometimes the answers that I got to questioning clients perplexed me. Most people never believe these stories but they are true. An individual contacted me one weekend afternoon and wanted to know what the dose of aspirin was for a dog. I answered his question then curiously I asked why he wanted to know that. He said his dog just got hit by a car and he wanted to give it aspirin. I asked if was sure he didn’t want the animal looked at first. He refused. I could do nothing because animals are considered personal property by the law. Airway obstruction or difficulties breathing- This is the most important reason to seek emergency treatment. No matter what else is wrong with the animal, if it can’t breathe it is not going to live. Providing (via a tracheostomyThis is an emergency surgical procedure that incises into the trachea (windpipe) so that an endotracheal tube can be inserted so that air can reach the lungs for bodily functions to continue. They are often performed when there is an upper airway obstruction.) or improving a patent airway is the numero uno thing to do for any emergency patient. Excessive bleeding- This can occur from hit by car accidents or from major lacerations severing a major artery. Obstetrical difficulties- Whenever a dog or cat develops problems passing a fetus emergency care is mandatory. Urinary Obstructions- These happen to both dogs and cats but are much more prevalent in male animals. Some female animals are capable of obstructing from urinary stones, particularly the Bichon Frise. Hit by Car (HBC)- Any animal hit by a car requires immediate medical care even if it is acting normal!! There may be internal bleeding going on so do not delay seeking emergency care. Stinging insect bites- Dogs and cats get stung often by wasps (yellow jackets) in late summer and fall or by fire ants in southern states such as Florida. These can produce severe swelling of a limb and potential breathing obstructions if the dog is bitten in the mouth. Most pets get injuries to these areas because they swat at them with their front paws or try to bite them. Canine Bloat- This is one of the most dangerous pet emergencies. Usually seen in large/giant breeds of dogs that have drunk a lot of water or eaten then exercised are the usual situations. Dogs will try to vomit but can’t and you will see a distended abdomen. Seek immediate emergency care. Seizures- These disorders crop up when least expected. Most are of unknown origin but can be caused by poisons or by coming in contact with the bufo toad in Florida. Any seizuring dog or cat requires immediate care. Endocrine Diseases- Many things can go wrong while a diabetic is on daily insulin injections. The blood sugar may get too low (too much insulin or pancreatic insulin still being produced) or too high (diabetic ketoacidosis or insulin resistance). Adrenal gland diseases (Cushing’s Syndrome or Addison’s Disease) have complications also that must be treated immediately. Emergency care can cost a lot of money and could break the bank or budget of many households. The quality of veterinary emergency care today in this country is exceptional but it comes at a cost. Emergency clinics cost a lot due to the costs involved in maintaining the facility. These specialty offices have around the clock technician, doctor care and specialized equipment. Most practices do not offer these options if they are not emergency only practices. It is just too costly. There are several solutions to the high expense of emergency care. The first is to obtain pet insurance when your puppy or kitten is young and the second is to get pre-approval from Care Credit®. 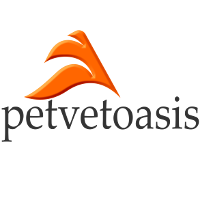 The latter is a credit facility that dentists and veterinarians have gotten clients to use to finance pet emergencies. Applications can be filled out while the pet is being worked on but it is less stressful to do all the work before any pet emergencies happen in the first place. It is sort of like an insurance policy but is actually a line of credit. Emergency work is extremely rewarding to veterinarians because you help save lives. That is what it is all about! I have had thousands of cases over the years. Several have stuck in my mind. One weekend evening at my OH practice I was presented with a quasi comatose Golden Retriever. The owners had no clue. I made the usual rule outs. The dog’s gums were pale. Everything was normal except the clotting time. The animal had gotten hold of a rapid acting rat poison (warfarin). Fortunately, there is an antidote- Vitamin K. The next morning the beautiful retriever was bouncing around in its cage. I personally took the animal out the side door of the clinic. The owner was crouched with his arms opened and extended. I released the dog and it ran into the owner’s waiting arms. Probably one of the most rewarding moments of my career.